BuddyPress plugin allows you to create a social networking website inside your WordPress. It’s really easy to install BuddyPress to your WordPress website. BuddyPress is an open-source plugin owned by Automattic, the people behind WordPress, since 2008. BuddyPress comes out with a lot of social networking features and components, which makes it the perfect social networking plugin for your WordPress. Plus, you’ll be able to manage your social networking from your WordPress dashboard. Installing BuddyPress is as easy as install any other WordPress plugin. 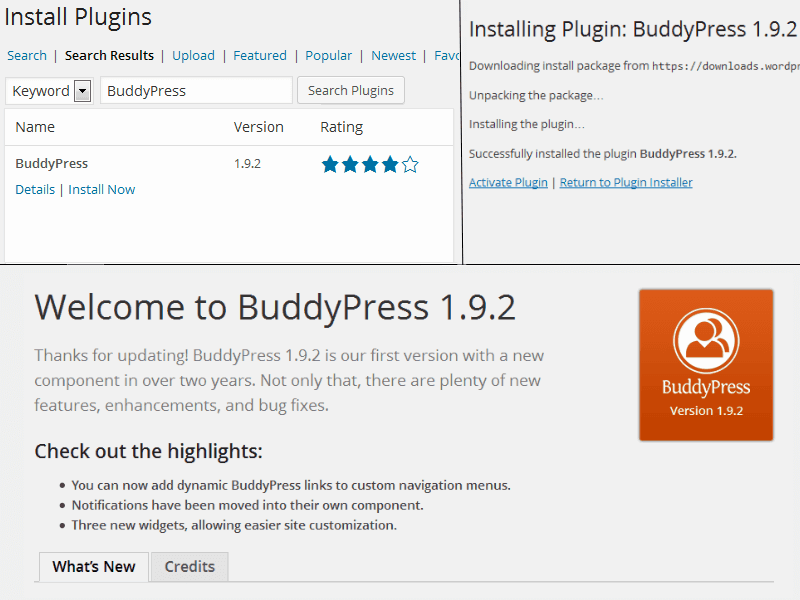 Just visit your WordPress admin panel and go to Plugins > Add New & search for BuddyPress. Install and activate the plugin. After the activation, you’ll see the welcome screen for BuddyPress. After installing BuddyPress, you need to configure some things to make your site ready for the BuddyPress. Just after installing the plugin, you will see a notification message on the top of your WordPress dashboard, which would ask you to create or connect some necessary pages with your WordPress. Click on the Repair button, which will take you to a page where you can associate pages with your BuddyPress. You can create new pages for this part, or you can also use old unused pages. There pages will do the job of being a social networking website. You can also manage BuddyPress components, settings and pages from the Settings > BuddyPress menu.